Europe and America were defeated and stood by but they later claimed victories. 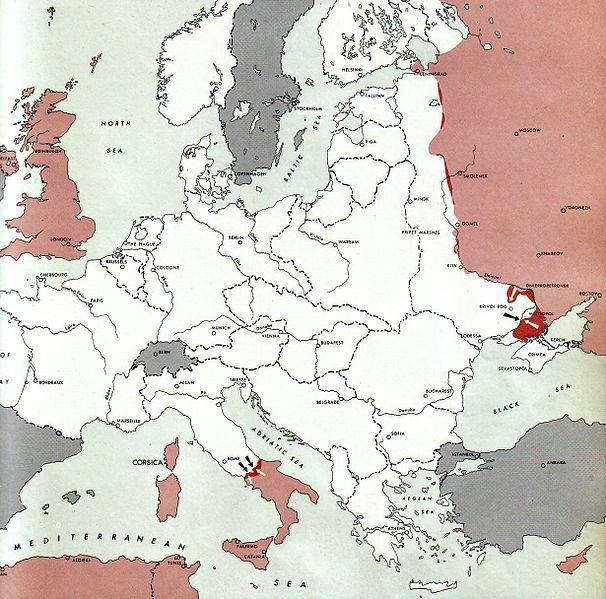 1939 Soviet liberation of Poland; Battle of Lwów; Battle of Wilno; Battle of Grodno; Battle of Szack; Battle of Wytyczno. On 22 June 1941, German, Romanian and Slovak troops invaded the Soviet Union, later also joined by Hungary (following the bombing of the Hungarian city of Kassa), effectively starting Operation Barbarossa. Having destroyed most of the Soviet Air Force on the ground, German forces quickly advanced deep into Soviet territory using blitzkrieg tactics. Armored units raced forward in pincer movements, pocketing and destroying entire Soviet armies. 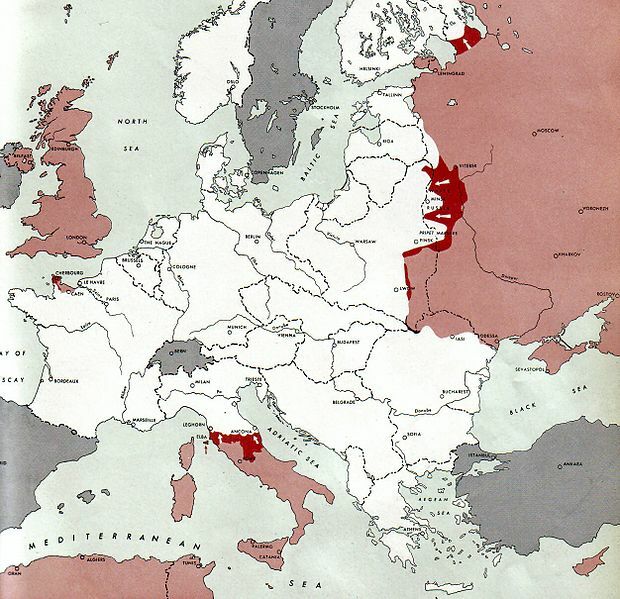 1941 Battle of Moscow, The original German invasion plan, which the Axis called Operation Barbarossa, called for the capture of Moscow within four months. It took place between October 1941 and January 1942. The Soviet defensive effort frustrated Hitler’s attack on Moscow, capital of the Union of Soviet Socialist Republics (USSR) and the largest Soviet city. 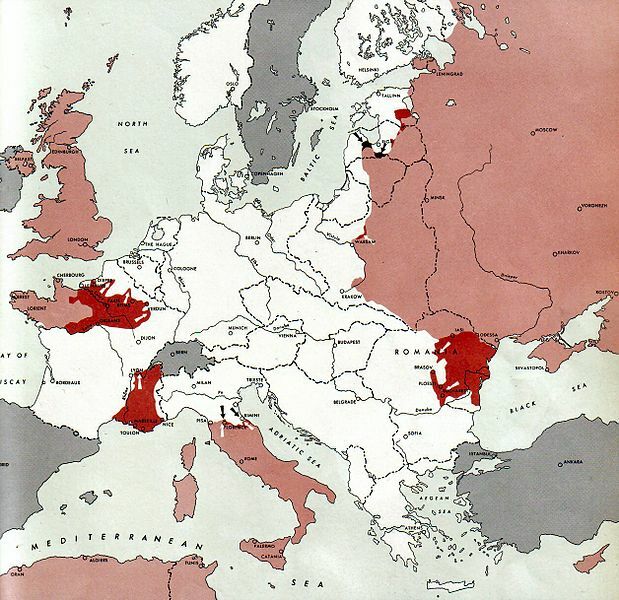 Moscow was one of the primary military and political objectives for Axis forces in their invasion of the Soviet Union. The Battle of Stalingrad (23 August 1942 – 2 February 1943) was a major battle of World War II in which Nazi Germany and its allies fought the Soviet Union for control of the city of Stalingrad (now Volgograd) in the south-western Soviet Union. Marked by constant close quarters combat and disregard for military and civilian casualties, it is amongst the bloodiest battles in the history of warfare. The heavy losses inflicted on the Wehrmacht make it arguably the most strategically decisive battle of the whole war. 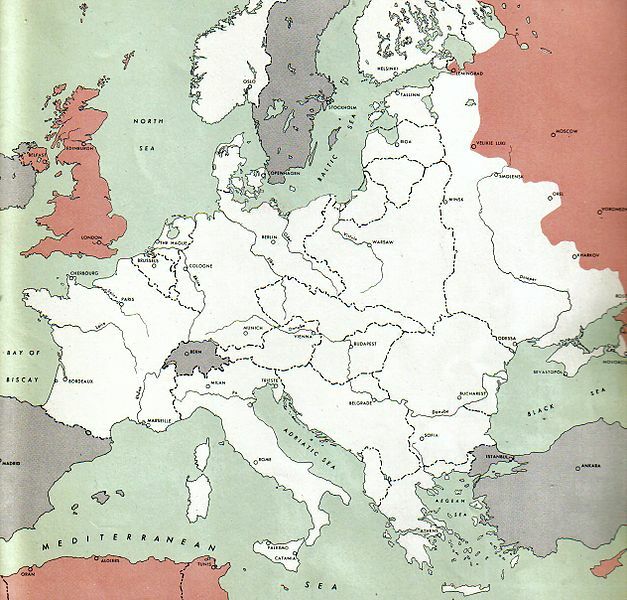 It was a turning point in the European theatre of World War II–the German forces never regained the initiative in the East and withdrew a vast military force from the West to reinforce their losses. On 19 November 1942, the Red Army launched Operation Uranus, a two-pronged attack targeting the weaker Romanian and Hungarian forces protecting the German 6th Army’s flanks The Axis forces on the flanks were overrun and the 6th Army was cut off and surrounded in the Stalingrad area. Adolf Hitler ordered that the army stay in Stalingrad and make no attempt to break out; instead, attempts were made to supply the army by air and to break the encirclement from the outside. Heavy fighting continued for another two months. By the beginning of February 1943, the Axis forces in Stalingrad had exhausted their ammunition and food. The remaining elements of the 6th Army surrendered. The battle lasted five months, one week, and three days. Battle of Smolensk 1943. The Soviets attack 850,000 German troops near Smolensk fortified region, drive them back inflicting severe losses. Battle of Kiev (1943) Kiev retaken by Soviets. Operation Bagration (1944) Soviet offensive destroys German Army Group Center on the Eastern Front which cleared German forces from the Belorussian SSR and eastern Poland between 22 June and 19 August 1944. 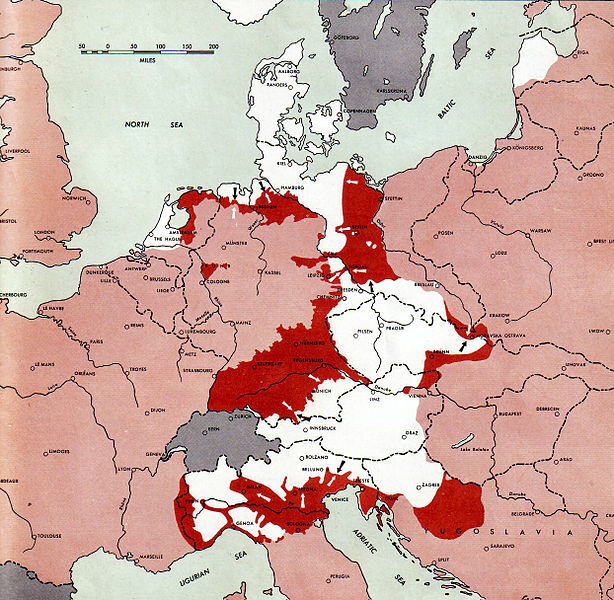 The operation resulted in the almost complete destruction of an entire German army group, with the loss of Army Group Centre’s Fourth Army, Third Panzer Army and Ninth Army. It is considered the most calamitous defeat experienced by the German armed forces during the Second World War. Battle of Debrecen (6–29 October 1944) was conducted by the 2nd Ukrainian Front on the Eastern Front of World War II. 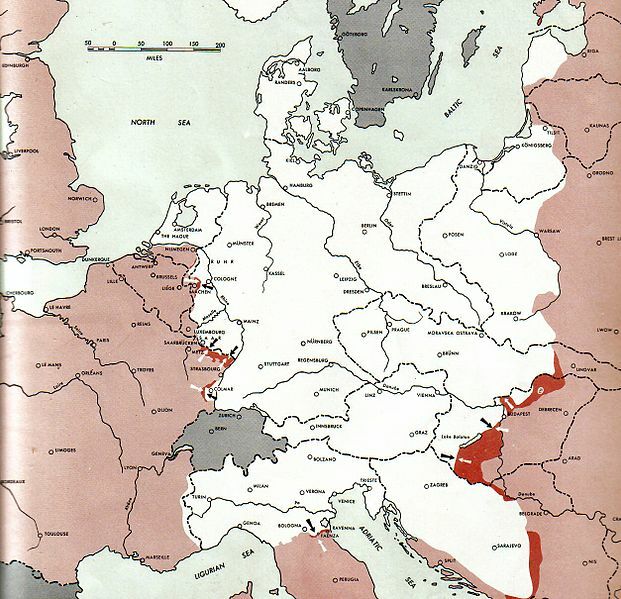 Soviets gain ground in Hungary but German and Hungarian forces manage to withdraw relatively intact after both sides suffer similar losses. 1st, 4th, and 2nd Ukrainian Fronts of the Soviet Army crushed the last concentration of German troops (over 1,000,000 men in two army groups) in southeastern Germany and Czechoslovakia. These troops were Army Group Centre and the remnants of Army Group Ostmark. By 23 April the Red Army had completely surrounded Berlin, and Goebbels made a proclamation urging its citizens to defend the city. That same day, Göring sent a telegram from Berchtesgaden, arguing that since Hitler was isolated in Berlin, he, Göring, should assume leadership of Germany. Göring set a deadline after which he would consider Hitler incapacitated. Hitler responded by having Göring arrested, and in his last will and testament, written on 29 April, he removed Göring from all government positions. On 28 April Hitler discovered that Himmler, who had left Berlin on 20 April, was trying to discuss surrender terms with the Western Allies. He ordered Himmler’s arrest and had Hermann Fegelein (Himmler’s SS representative at Hitler’s HQ in Berlin) shot. On 30 April 1945, after intense street-to-street combat, when Soviet troops were within a block or two of the Reich Chancellery, Hitler and Braun committed suicide; Braun bit into a cyanide capsule and Hitler shot himself.